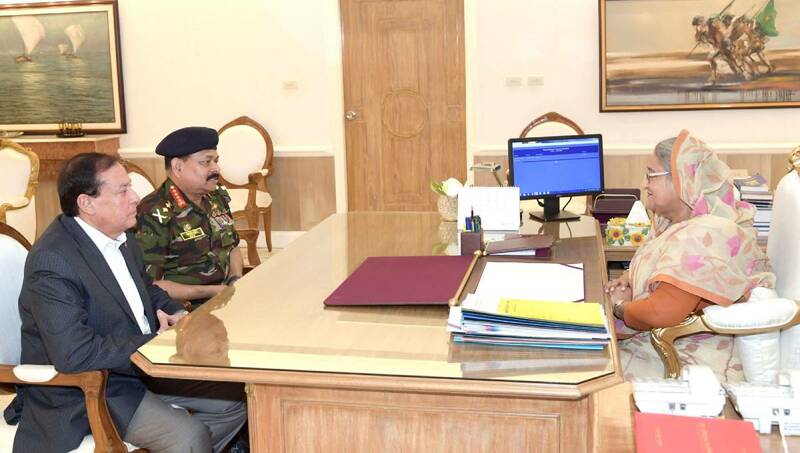 Dhaka, Apr 15 : President of Bangladesh Olympic Association General Aziz Ahmed and its Secretary General Syed Shahed Reza on Monday met Prime Minister Sheikh Hasina at her office. During the meeting, they discussed the country’s overall sports, including international training and sending teams abroad, according to the Press Wing of the Prime Minister’s Office. Gen Aziz Ahmed, also the Chief of Army Staff, and Shahed Reza sought the Prime Minister’s kind attention for having enough allocations in the national budget for different games.